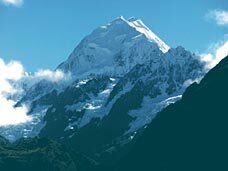 Could anyone during the time of the Prophet Muhammad (pbuh) have known of the true shape of mountains? Could anyone imagine that the solid massive mountain which he sees before him actually extends deep into the earth and has a root, as scientists assert? A large number of books of geology, when discussing mountains, only describe that part which is above the surface of the earth. This is because these books were not written by specialists in geology. However, modern geology has confirmed the truth of the Quranic verses.